A man built it - a man can restore it..
RustyTrucks is the award-winning* centre of excellence for classic, vintage and antique vehicle restoration based in the NorthWest of England. 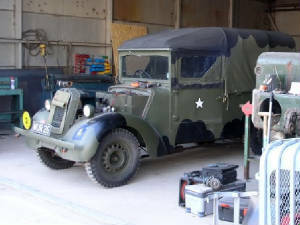 With over 30 years of experience on a bewildering array of vehicles large and small RustyTrucks are well placed to help you with your restoration project. Check the link on the left for further details. Even if you don't need the services of RustyTrucks right now there is plenty on the website here to amuse all of you out there who, like us, share a passion for old motors of all kinds. Rusty Trucks is restoration service that aims to cater for at least some of the needs of those of us who think that reinstating a dozen tons of iron, steel, aluminium, rust, rubber, glass and timber (but not very much plastic) is a good way of whiling away an hour or two as well as ridding ourselves of all that surplus cash that we cannot think what to do with. As well as providing details of the services provided, I aim to chronicle the restoration of my own vehicles as well as giving others the opportunity to contribute. In addition to detailing progress on my own and other peoples restorations, I will include tips and techniques, links to other sites, and advertisements from those organisations who can help. The site is work in progress, I will add to it whenever I can, but don't expect too much too soon (after all, I have some real-life distractions) but words of encouragement are always welcome, so why not sign the Guest Book below? If you like old trucks then why not follow the Old Trucks Webring below? Feedback, submissions, ideas? Email RustyTrucks@mail2world.com.